Hope you all are having very good weekend. My day went very fast in my way. Just before prepared and finished eating tomato cheese pizza. It came out perfectly for the 4th time and still I can sense the aroma of oregano in my entire house. I don't know the reason behind it but yeast baking always makes me happy and it doubles when I see outcome. This happy mood made me to sit and post some recipe in my blog even in this week end. 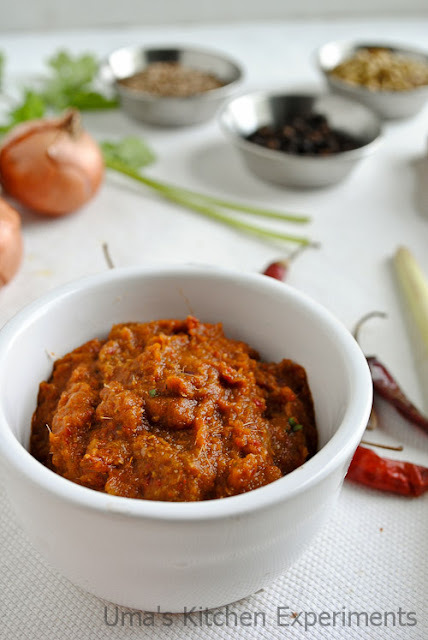 Searched few old recipes from my drafts and found a simple Thai red curry paste. I adapted this recipe from US Masala. Also, I am tagging this post under how-to's or Basics since I haven't posted anything under that category for long time. 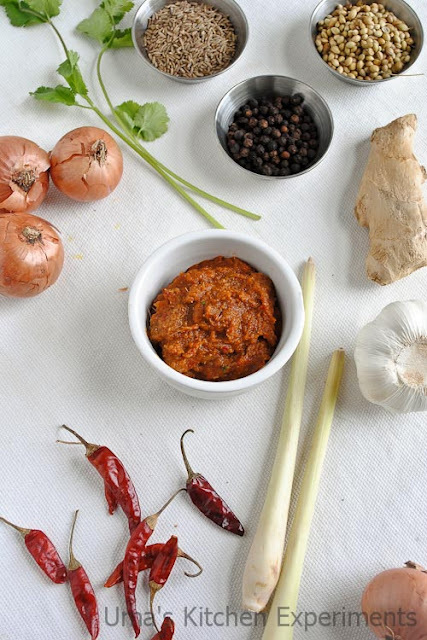 Now you go ahead to see how to prepare Thai red curry paste. 1) Remove the seeds from dry red chillies. Soak it in 1/4 cup of hot water for 10-15 minutes. 2) Drain the water and add the soaked chillies along with other ingredients in a mixer/blender and make a smooth paste of it by adding small quantity of water. 3) Keep refrigerated until you use it. 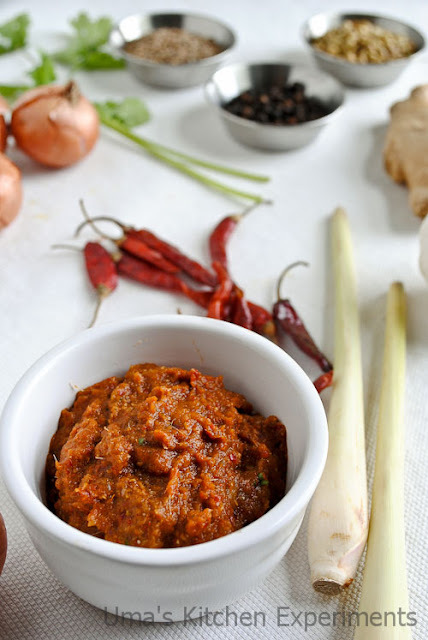 Wow, homemade Thai red curry paste. Well done Uma. nothing beats homemade curry paste.. The paste looks so colorful and tempting. Wonderfully prepared. Home made is the best,thanks for sharing. wow! 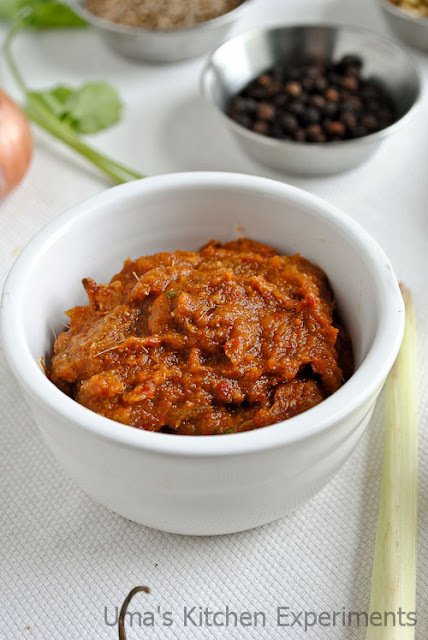 !It looks spicy,but love to see home made curry paste...seems like it can be kept in the fridge until use..
Wow! Loved the colour and texture of the paste.